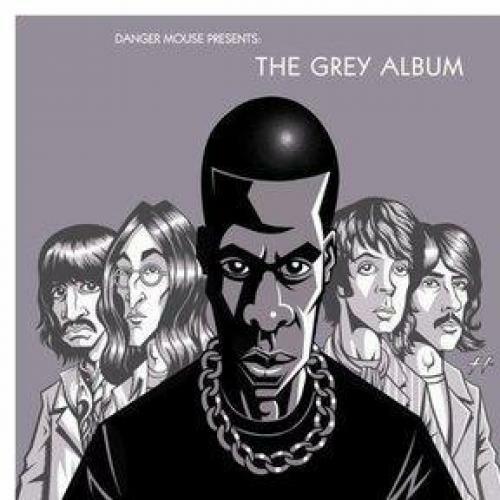 IN 2004, THE MUSIC PRODUCER and disc jockey Danger Mouse released a limited pressing of a CD called The Grey Album, which superimposed the vocals from Jay-Z’s The Black Album over the Beatles’s The White Album. Although The Grey Album violated copyright law, and in spite of the record company’s attempts to suppress it, the album was quickly uploaded to file-sharing services, and became wildly popular. Since it can be distributed anonymously, The Grey Album remains available online today, outside of the control of the copyright holders and their proxies: music retailers, licensers, even libraries or other archives. It is a ubiquitous, but technically illegal, work of art. The originality of Boon’s approach—“originality” being a word we have to use judiciously in this context—lies in his source material: a mash up of Continental philosophy, in the Hegel-Nietzsche-Heidegger-Derrida tradition, with Mahayana Buddhist philosophy, particularly that of the Tibetan tradition that Boon himself practices. Continental philosophy has a longstanding concern with duplication, supplementation, simulation, and doubling, as most famously represented in the work of Jean Baudrillard, who once published a book entitled The Gulf War Did Not Happen, insisting, only half-jokingly, that the invasion of Iraq in 1991 was a mediated simulation of a war, produced for television. This tradition, Boon argues, provides an alternate framework for the Platonic understanding of “the real” that dominates Western thinking on the subject of copyright and intellectual ownership. While Plato argued—and modern copyright law affirms—that “ideas cannot be owned, because they are intangible, but the original expression of an idea can be owned when it is tangible, material, fixed,” Baudrillard, Deleuze, Derrida, Foucault, and others argue, in different registers, that this obsession with a fixed point of origin, an “essence,” is merely a construction of our current social order, and that any notion of permanent identity or single authorship disregards the interconnected network of codes, “traces,” influences and allusions that bring about a material product—whether it is a book, a song, or a Louis Vuitton handbag. This argument will not be news to most educated Western readers. What is more startling is how Mahayana Buddhist philosophy arrived at the same juncture approximately two thousand years ago. Through a deceptively simple method of analysis, the so-called fourfold negation, Mahayana philosophy of the Madhyamaka (or “Middle Way”) school strips away our assumptions about the permanent and fixed nature of our minds and the world around us. In these terms, Boon writes, Buddhist philosophers would “ask the Platonist where one can find the ideal form which supposedly constitutes the real Louis Vuitton bag … and demonstrate that it has no existence. We can find nothing but the bags that are around us, some of which we call and designate ‘Louis Vuitton bags.’ This designation is always necessarily a relative one.” Our dependence on notions of originality and ownership, in Buddhist terms, is part of a larger need to see the phenomenal world as stable, unchanging, and “real,” when in fact we know that this is not the case. Then what is to be done? Matters of copyright and intellectual ownership have long ceased to be matters of scholarly dispute; many people involved in teaching, writing, or the creative arts—not to mention everyday file-sharers, or those who buy the odd fake handbag or pirated DVD—have to make decisions about what constitutes ethical copying and distribution almost on a daily basis. And this is where those who seek out a book titled In Praise of Copying will be most disappointed, for Boon recognizes the immense potential danger of arguing that “anything can belong to anyone, and nothing can belong to anyone.” A state of non-ownership, or common ownership, is an invitation to those with power or resources to appropriate everything—even the power of naming—to themselves. Still, Boon refuses to make any kind of categorical proposal about “right” or “wrong” acts of copying. Instead he argues that we need to take into account the full range of practices of copying that exist in the world, from the making of musical mix-tapes, to the “unauthorized” circulation of texts within universities (a tradition that goes back to the Middle Ages), to the elaborate rituals of mimicry and simulation within many traditional cultures. Only when we view copying in this broad perspective, he believes, can we see the true narrowness, even the absurdity, of the current regime of copyright law, and the enormous waste and injustice involved in enforcing it. The problem with In Praise of Copying—not surprisingly, given the subject matter—is that it partakes too freely of its own copia—its abundance, of sources, arguments, and sub-arguments. Anyone without previous exposure to the philosophers whom Boon discusses—even those with some exposure to them—is likely to feel, in the opening chapters, comprehensively lost. One cannot help wondering why a book such as this one, which is so focused on “folk” practices, informal economies, and vernacular art forms, should be accessible only to a small and highly trained academic elite. This is the pervasive irony at the heart of much contemporary philosophy, but Boon makes it even harder than it needs to be by skipping from one philosopher’s vocabulary to another with little explanation or context. That said, for all its deficiencies, In Praise of Copying is too important, and too ambitious, to ignore. And since it is available electronically for free, under a Creative Commons license, at the Harvard University Press website, one need not even pay for it. Jess Row is the author of, most recently, Nobody Ever Gets Lost, a collection of short stories.